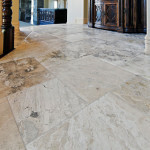 Time, weather, traffic, spills and scuffs (in other words just plain use) can gradually erode the WOW! 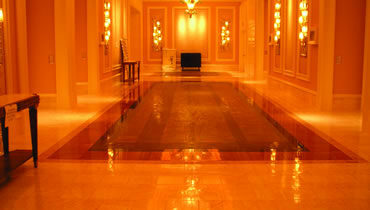 impact of your fine natural stone and other hard surfaces. But that doesn’t mean you have to replace them. 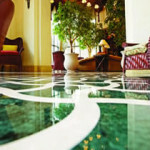 If you are in the Santa Cruz, CA area and have natural stone, tile and grout, terrazzo and/or concrete surfaces that have started to look a bit worse for the wear, TECHSTONE can get them looking good as new again for a fraction of the cost of replacement. And once they’re stunning again, we won’t just leave you hanging. We pride ourselves on educating our customers in the best ways to care for their fine surfaces day to day. 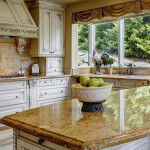 Natural stone of all types can be honed and polished to virtually erase scratches and scuffs, cracks and chips can be repaired, stains can be resolved, uneven surfaces made smooth. 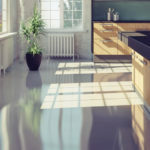 Tile and grout can be deep-cleaned and sanitized, then grout can be sealed or color sealed to make it resistant to spills, bacteria and other contaminants, as well as easier to keep clean. 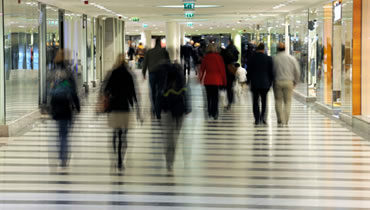 Terrazzo can be polished to a natural shine without the need for topical coatings that will have to be stripped and reapplied later, offering considerable savings on maintenance costs. And you would not believe what we can do with concrete!